Why do we need a Will? Is my Will up-to-date? Does Estate Duty apply to my Estate? What happens if I don’t have a Will? These are Questions which we often hear from our clients. There is a saying ”there is nothing as certain as death and taxes” and if a family is caught unawares by a sudden death and one’s affairs are not regulated by a properly drawn up Will, all sorts of legal and financial difficulties may follow. At Milton’s Matsemela, we draft your Will and properly advise you on the consequences of your decisions. Do not put off drafting this critical document. A deceased estate comes into being when a person dies leaving property. 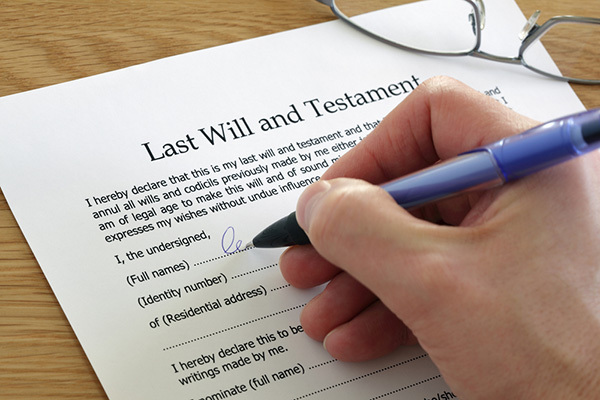 If a will has been left, the property must be disposed of in terms of this written instruction and , if not, in terms of the Intestate Succession Act. The nominated Executor should come to us for advice as soon as possible as the Estate should be reported within 14 days of death. We will assist the executor with the three main phases of the administration of a deceased Estate. Advertising, settling of debt and collecting information to set up the so-called Liquidation and Distribution account. Filing the Liquidation and Distribution Account(s) and finalization of the Estate. Executor’s Remuneration is determined by a tariff in terms of the Administration of Estate’s act and is presently calculated at 3.5% of the gross value of the assets as of date of death. If a person leaves assets of less than R125000,00 we will assist the Executor with a less formal procedure. Do not hesitate to contact our Estate Department: Mr Andrew Murray on 021 521 1304 for help or advice.